kindergartens Montessori- More and more parents decide to send their children to the kindergarten through the Montessori system . Maria Montessori is an Italian doctor of science. This legendary woman devoted her whole life to watching children, creating methods of early development and creating conditions for their implementation. The success of her technique is a long-established fact. Many outstanding personalities of the XXI century (the founders of Google, Wikipedia, Nobel Prize winners, British princes) were trained from an early age through the Montessori system. In this review, we will talk about the features of early development using this technique, consider the best gardens in Moscow. Strongly forbidden are all kinds of pressure, pushing, criticizing and coercion, punishment, and encouragement. The children independently decide what they want to do, determine the pace of their studies themselves. The role of the teacher is to understand what is interesting for the little one, to awaken interest, to provide the necessary environment for classes and to teach him how to use this environment at ease. In addition, Maria focuses on group exercises. They help to acquire communication skills, to adapt. Montessori groups, in which children interact with each other, are more effective than individual sessions with the teacher. Areas of intellectual development (mathematical, geographical, linguistic, etc.). Creative zones (dance, art, music, etc.). 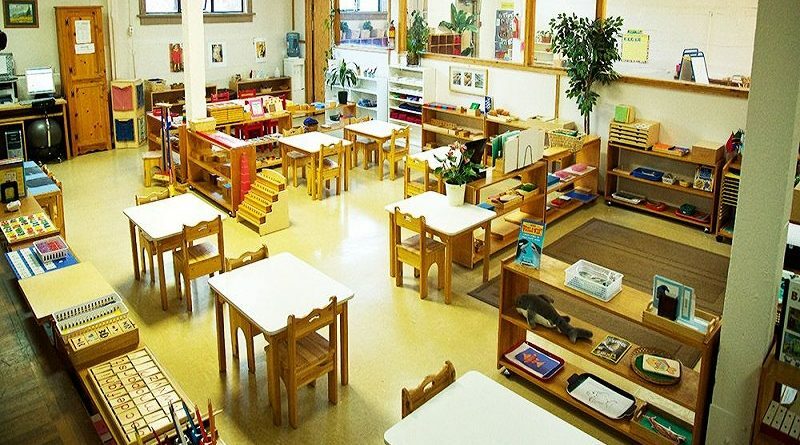 In the process of choosing a Montessori garden, it is important to make sure that it is real. Teachers should have a suitable education, much about the institution will tell the surrounding situation. Let’s take a closer look at the five best Moscow gardens in Montessori. Montessori studio on Molodezhnaya founded in 2009. It is among the schools recommended by the Montessori Foundation, the official representative of AMI (Montessori International Association). Training is conducted in two languages (Russian / English). The mission of the school is to lay the foundations for a holistic, harmonious personality of the child, capable of making independent, deliberate decisions, becoming independent, free, disciplined and bringing his unique contribution to the world community. To date, the school offers training for children from 0 to 12 years, which meets the international standards of Montessori schools around the world. Child-Parent Class / Parent-Infant Community – a program for parents with children from 2 to 14 months. Classes twice a week for two hours. It is possible to choose a convenient schedule. The cost of 16000r. per month. Toddler class / Toddler Comunity – the program for children from 14 months to 3 years. Classes 5 days a week. The cost of 47000r. up to 63,800 rubles. per month depending on the selected program. Class 3-6 / Casa dei Bambini – program for children from 3 to 6 years. Classes 5 days a week. The cost of 50000r. up to 70000r. per month depending on the selected program. Class 6-12 / Elementary – the program for children from 6 to 12 years. Classes 5 days a week. The cost of 60000r. All program managers have AMI international diplomas for working with children of the appropriate age. From July to August there is a summer camp with a variety of programs led by Montessori teachers. The school is located in the Western Administrative District of Moscow on the territory of a modern residential complex with its own grounds for walking. 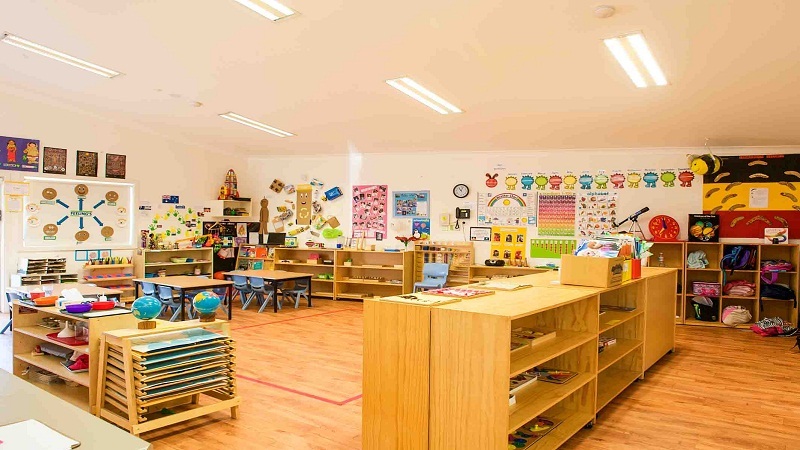 The spacious light classrooms are equipped with comfortable children’s furniture and high-quality Montessori materials. The complex adheres to a strict access regime and provides 24-hour security of the territory. The garden of the School of Cooperation is open Monday to Friday from 8.00 to 19.00. The cost of stay from 98 to 128 thousand rubles a month. It includes a full range of services, including 5 meals a day, medical services. the territory is under round-the-clock security, a video surveillance system is installed. The educational bias of the institution is the study of English. Here the language environment is formed, English speakers, work. 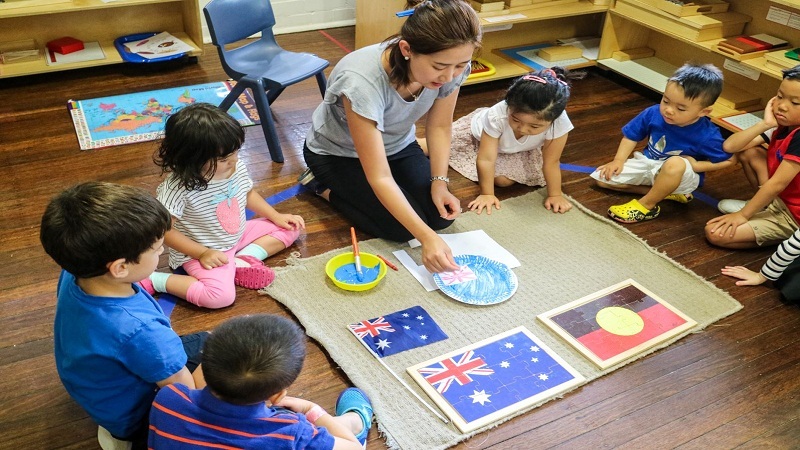 For each child, a separate development program is created, psychologists and teachers regularly monitor the dynamics, adjust this program together with the parents. The School of Cooperation pays great attention not only to developing and educating children but also to health. For each child, the regime of the day is developed separately, additional classes and the choice of circles, the load is distributed depending on the psychophysiological state. Qualified specialists developed basic health programs. For their implementation in the territory of the kindergarten were equipped with massage and physiotherapy rooms, a salt room, a room for physiotherapy. All children regularly receive an oxygen cocktail. The basic training programs include individual and group sessions with a speech therapist. Particular attention “School of Cooperation” pays a healthy diet. The menu was developed by nutritionists of the Russian Academy of Medical Sciences, taking into account the age of children, the calorie content of dishes and includes only healthy dishes made from fresh quality products. The ration includes the first and second dishes, cereals, fruits, pastries, dairy products, fish. For students who have certain health problems (for example, food allergy), specialists make up an individual menu.